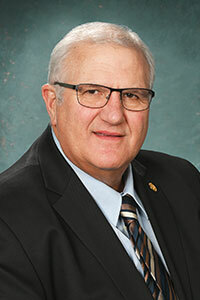 LANSING, Mich. — The Michigan Senate on Thursday approved Sen. Dale Zorn’s legislation to help attract new business investment to the state’s border communities. “This initiative is about helping towns and counties along Michigan’s borders attract new investment and development in their communities, which will create jobs and increase support for our local governments and schools,” said Zorn, R-Ida. “Michigan’s border communities are interconnected with our Ohio neighbors, with many people living in Michigan and working in Ohio and vice versa. That interconnection is unique to our border communities, but it also puts them at a disadvantage. Michigan provides grants, loans and other economic assistance to qualified businesses that make investments in Michigan or provide “qualified new jobs” in the state. Currently, a “qualified new job” means a job performed by an individual who is a Michigan resident. Senate Bill 40 would expand the “qualified new job” definition to include a job performed by a resident or non-resident who is employed by a business located in a Michigan border county. 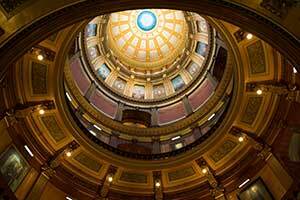 Lenawee Now Executive Director Jim Van Doren testified last week in support of the bill. SB 40 has been sent to the House of Representatives for consideration.